Previously, I explored the first skill on Al Turtle’s Map of Relationships: Safety. Today I’m going to look at the second piece of the Biological Dream, which he calls “Reliable Membership”. Humans are social animals. 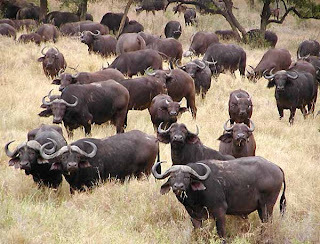 We need to live in a herd to increase our survivability. I think we can all agree that this is a biological requirement for children up to a certain age (Al suggests age 7 or 8). And in adulthood there is still a biological drive for connection, although it can be overridden by a history of unpleasant social experiences. For example, as Al notes, people become hermits when they’ve repeatedly experienced unpleasantness when trying to connect with others. 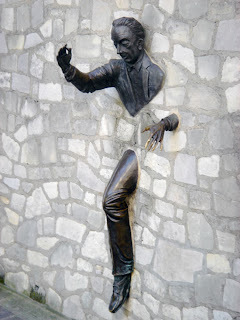 The significance of this location is that the neural connections between our need to connect with others and our panic button (fight or flight reaction) are very short and very quick. In other words, any threats to our need for social connection are seen quickly and clearly by the Lizard. And we know what happens when our Lizard is activated! How much connection do we require? All people are basically the same in that we have this biological drive to live with others. But we differ in the amount of connection we require. Al draws from attachment theory to posit that the amount of connection we each find comfortable is formed in childhood. Our childhood experience with connection ranges from “absolute unreliability or insufficiency of connection to absolute excessive connection.” We are all located somewhere on that continuum. Al also notes that as we grow our required amount of contact may change, so we could move up or down this continuum. Children who got too little or intermittent connection from caregivers have very active Lizards—they panic. They survive by developing Clinging skills: staying close, holding on, resisting separation. These survival skills of clinging and pursuing, driven by panic, become habits and follow the child into adulthood. When these adults panic, they move toward others, especially their partner. They ask questions, follow, push toward, talk at, and in general become invasive of their partner’s space. As an adult clinging may become very controlling, possessing, captivating, cornering. This is the source of stalking behavior. Frequent thoughts or fears of your partner leaving you behind. When nervous, you will focus on your partner’s evasiveness, withdrawal, silence. You may also have day or night dreams of safe togetherness – of finally living happily forever. Children who experience too much or painful contact also have active Lizards—they panic. They survive by developing Avoiding skills. These are behaviors that do not invite contact. Even when hungry these children don’t cry. We often call them “good babies,” but really they are happier when left alone. As these children grow, when they can walk, they develop isolating skills, such as having hiding places, wandering off, climbing trees and not coming down, running away, sitting at the far end of the room, etc. These survival skills of avoiding and isolating, driven by panic, become habits and follow the child into adulthood. When these adults panic, they move away from others, especially their partner. 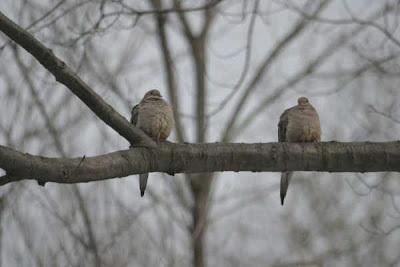 They are quiet, self-contained, elusive, non-talkative, and in general, emotionally cold. Your mind often goes blank when your partner talks, asks, or moves toward you. When nervous, you will focus on your partner’s invasiveness, attacking, pushing, and you may dream of peace, quiet, and space. Often we respond in reaction to the person we are with, usually taking on the opposite role. I tend to be clinging in my marriage (in response to Jason’s avoiding tendencies), but I once had a boyfriend who was somewhat smothering and I remember developing some strong avoiding behaviors to get the space I desired. This also works with friendships. As a child, I remember so strongly desiring friendship with a particular girl that I became very clinging, always calling her, asking her to come out to play. And I had another friend in high school who was so clinging with me, that I began hesitating before returning her calls, and I stopped inviting her along every time my friends got together. But I agree with Al that we seem to have a natural tendency towards one side of the continuum as a result of childhood experiences (attachment theory) and in-born traits (personality theory). I can see how introverting vs. extraverting preferences could have some effect on this. I think the most important factor, however, that determines a person’s general position on the continuum is what activates their Lizard. Do you feel more unsafe or panicked when there is a threat of isolation, or do you feel more unsafe and panicked when there is a threat of overwhelming and unpleasant contact? Let’s look at what all of this means for relationships. A Clinger is scared of their partner leaving. They panic when their partner says things like, “I can’t take this anymore” or “I need to get away.” When panicked, Clingers often visualize their partner divorcing them, having an affair, or dying, etc. They then try to protect themselves by trying to get more connection. Which, of course, pushes an avoiding partner further away. For an Avoider, leaving is a move towards safety. Instead, what scares them is the lack of space in a relationship. Avoiders often see contact as conflict. When panicked, they will move towards leaving a relationship if there is no built in safe space within the relationship. 2. Clingers need to learn to be happy when alone and learn to switch to the on-your-own mode quickly. 3. Clingers often need to find other sources of connection in the world. But, and as Al says “this is a big but,” you can’t draw on sources that would threaten your partner. So build a network of friends, join volunteer organizations, keep pets, etc. And learn to shift from connecting with your partner to alone-mode, to friends, and back to your partner quickly, keeping the connection time with your partner the highest priority. 4. Avoiders need to learn to anticipate their need for space, and signal their partner when they need a Time Out. So, that’s the second step on the Map. We’ve now explored the first two steps towards Vintage Love: learning to live with your Lizards and understanding each others’ needs for reliable connection. Interestingly, these are both unconscious aspects of the Biological Dream. The Lizard acts without our conscious control, and our need for connection is a hard-wired drive. The next three skills on the Map are conscious: diversity, autonomy, and purpose. At first I thought that these would be the easy ones. That I have already learned good skills to maintain these aspects in my relationships. Boy, was I surprised! While I’m working on making the next post in my series on The Map of Relationships intelligible, I thought I’d share a couple Al Turtle quotes. Bully (original version)-- A person who wants their way and when they don’t get their way, they make other people unhappy. Bully (Al’s new version)-- A person who wants their vision of reality, their interpretation of reality, to be the only surviving interpretation of reality, and they want other people to not talk about disagreeing. Leader-- A true leader is a person who does not allow anyone to be disrespected in his or her presence. Also, a person who maintains dialogical space when not making a decision. Dialogical-- sharing points of view peacefully. Dialogue-- 1) Any sentence that implies the existence of multiple points of view of reality. 2) A conversation in which both are comfortably sharing their differing ways of seeing and appreciating the world. If two people are agreeing, at least one of them is lying. All people are chronically disobedient… learn to live with it. Falling in love is an invitation to the brilliance of being fully alive. Divorce that old relationship. Don't divorce your partner. You can either be "right" or in "relationship". Take your pick. Your stuff is never my fault. And I care about you. So how can I help you with your stuff? I just love the way this guy thinks! I hope you are finding his ideas just as thought-provoking as I do. 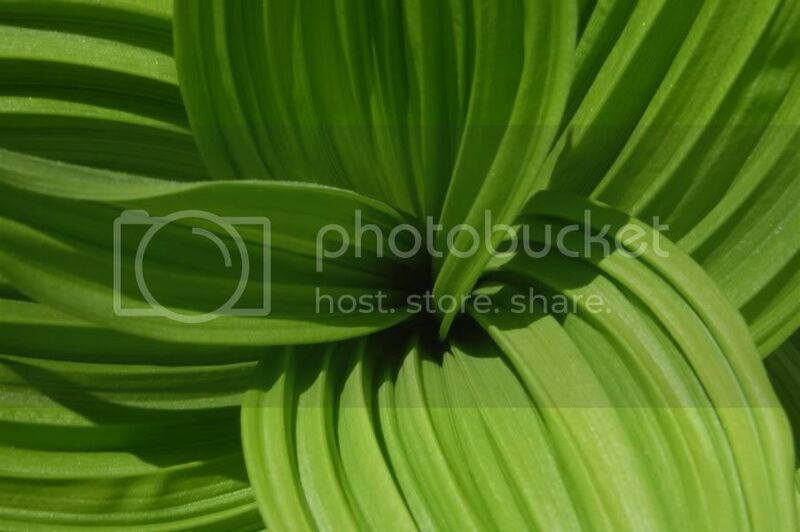 I’ll be back very soon with the next post in the series…. Is your relationship a place of safety? Does your blood pressure drop and you go “ahhhhh” when you hear you partner’s car turn into the driveway? Are you a source of safety to your children? I think we can all agree that safety is the basis of any healthy relationship. And it is particularly important in our intimate relationships. So, let’s explore what it means to feel safe. I think we can all agree that we are hard-wired to seek physical safety. If we didn’t seek safety we could often find ourselves in places of danger. And that’s not a place that has a high rate of survival. 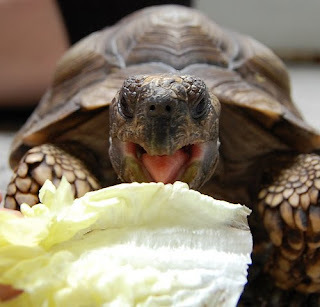 We share this survival instinct with other mammals, reptiles, and birds. It is a simple mechanism with just two modes: safe or about-to-die. I’m sure you know what happens when we sense a threat. We call it the fight or flight response. Adrenaline floods your body in an instant. Your blood pressure rises, your heart beats faster, muscles are primed and all energy is diverted from other systems. Digestion stops, thoughts cease, peripheral vision goes dark, sexual response is turned off, and the immune system is suppressed. Your body prepares to fight, flee, submit, or freeze. What’s interesting is that most of us have never been in a life-threatening situation. Yet we experience this reaction quite often, especially when interacting with another person. So why do we experience this reaction when there is no apparent physical threat? And what does any of this have to do with lizards? The Lizard lives in your brain. It is found in the deepest, most primitive section of your brain which is often called the reptilian brain (hence, Al’s choice of name). 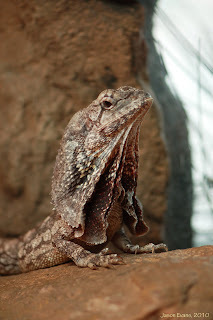 The Lizard controls automatic functions (such as breathing, heart rate, and blood pressure), survival functions (fight or flight responses), has no sense of time, and needs no relationship, no need for community. It’s job is to keep you alive. So let’s review what a bothered Lizard looks like. In animals, these behaviors are clear, easy to recognize. Fighting is a physical fight until all threat is gone. Fleeing is physically running away from the threat. Submitting is when they roll over or back down and relinquish dominance. 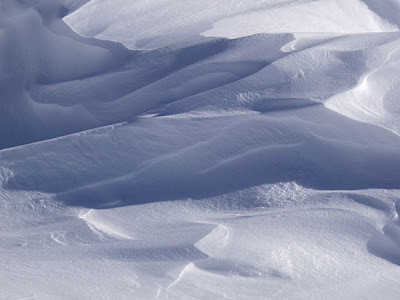 And freezing is when they become motionless in the hope that the predator will not see them. But in humans these behaviors are often less obvious. This is because our brain has two additional layers on top of the reptilian brain. Above the Lizard is the mammalian addition, or limbic system. It gives us emotions such as joy and grief and our need to live in a community. And the top layer is the primate addition, the cortex, which is basically a huge, efficient hard-drive. It’s function is data storage (memory) and abstract thinking. Since the Lizard is buried deep in our cranium, it can’t see the outside world very clearly. It mostly sees what the cortex is doing. And the cortex is busy making sense of the outside world by associating input with the stored data/memories. So the Lizard reacts to internal associations and imaginations more often than actual reality. Remember, the Lizard is a pretty simple creature. It sees things in black and white: either we are safe or we are about to die. And, it doesn’t pause to separate real threats from imagined threats. (Such a pause would have led to extinction millennia ago.) This is why we experience the fight or flight response in the absence of a real threat. How often do we see others react in strange ways when there is no apparent threat or reason to feel unsafe?! When we see these strange reactions we are seeing their Lizard. A personal example is that when someone speaks to me in the tone of voice that my father used when he was unhappy with me, my Lizard reacts. Sometimes, simply being in the presence of an authority figure wakens my Lizard. No threat present, but dang if I don’t shut down into a freezing behavior. Here are some other examples of human responses. Fighting-- Can be physical or verbal, such as arguing, controlling, actively manipulating. Fleeing-- Getting away, staying at the office extra hours, or escaping into cyberspace when sitting next to your partner on the sofa (when your lizard is active, not when you are enjoying quiet companionship.) Changing the subject. Hiding behind a newspaper. Submitting-- Saying yes when you mean no, or agreeing when you don’t (“Okay, fine. It’s fine.”) Doing something you don’t want to be doing. Many people are taught to submit. This is the core of codependence: making submitting a permanent behavior rather than a temporary stress response. As you can see, most of our active lizard behaviors are triggered by interactions with others. So let’s go back to the first question in this post. Is your relationship a place of safety? We now know that feeling safe means having a calm Lizard. And we listed what calm Lizard behaviors look like. 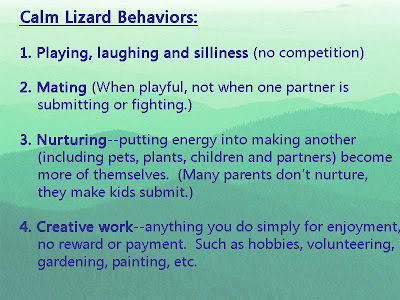 But I’d bet that the majority of couples spend more time in active Lizard mode than they’d like. 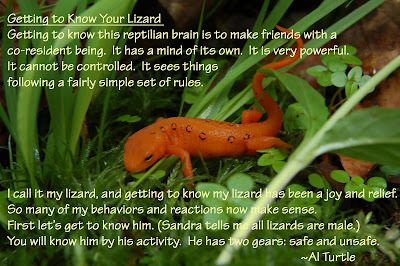 In fact, Al says many people live with their Lizards active all of the time that they are in relationship. Only when they are alone do they feel safe. And that some Lizards never go to sleep. Their owners live in a state we call chronic stress. Clearly, establishing a zone of safety is one of the most important skills in creating a great relationship. Learn what bothers it. Learn what soothes it. Train your Lizard to trust your cortex, to pause and consider whether the threat is real or imaginary. And train your cortex to take care of your Lizard rather than letting your Lizard rule your cortex. Be aware of thought patterns which bother the Lizard and stop thinking them. Become a source of safety to your partner’s Lizard. Notice when your partner’s Lizard is bothered. The signs of increased blood pressure are visible, pay attention. Look for those active Lizard behaviors. Remember that when Lizards are active you are talking to a Lizard, not your partner. Ask them what you can do to make them feel safer. Never tell a Lizard that the threat isn’t real. It’s real to them. And you’ll become a threat if you seem to be saying that they are “crazy.” (Think of how often people tell children “there is nothing to fear, so stop crying”!) If one person says they are scared and the other says there’s nothing dangerous here, that person now becomes a source of danger because they are rejecting their partner’s need for safety. 3. Learn how to take Time-Outs. 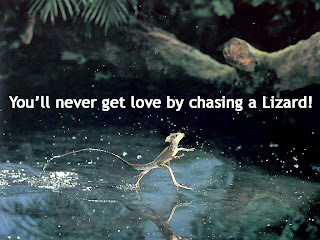 Discover and share what makes each other’s Lizard happy. Be specific about behaviors that your partner can do which make you feel safe. Al gives examples on his website, here. Lizards love predictive information and reliability. We strive to understand ourselves and our partner’s actions (why do you do that?) because it keeps our Lizard calm. Lizards don’t like surprises. Next post I’ll explore the second skill on Al’s Map of Relationships: something he calls Reliable Membership. 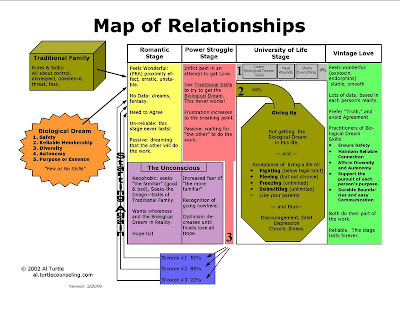 In my last post I shared Al Turtle’s Map of Relationships. His ideas have sparked lots of introspection for me, and I find much wisdom in his approach to understanding human behavior. So my first challenge is to learn about safety. What is Al talking about and what do I need to do? Have you ever felt fear or pain about something that isn’t real or isn’t actually happening? Sometimes the cause of the fear is easy to find. For example, we can understand why someone would experience a fear reaction every time they smell smoke, if we know that they escaped a house fire in childhood. But why would someone feel unsafe when they smell bleach? Or experience a freezing reaction (mind goes blank, unable to think) whenever their loving, non-abusive partner uses a particular tone of voice? The human fear response can be triggered in situations where there is no actual threat to safety. In fact, some people live in this state of fear 24/7-- we call it chronic stress. Al Turtle blames these feelings on “the lizard." Do you have a lizard in your brain? Tune in next post to find out. Let’s explore the skill of safety. "MODEL GUIDANCE HAS SOME SCARY-LOOKING PRECIPITATION AMOUNTS BULLS-EYED RIGHT OVER OUR AREA"
Hello, everyone! I am very sorry that I’ve seemed to disappear from the blog world. All is well. It’s just been a case of that pesky Newton’s first law: inertia. So what is the outside force that nudged me back to blogging? A new podcast series from one of the wisest counselors I’ve ever read. 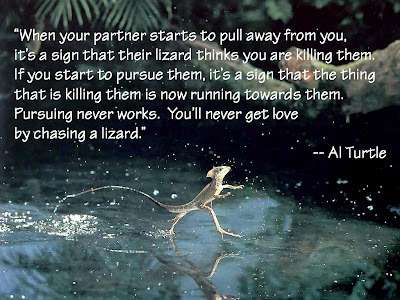 I am so excited about Al Turtle’s relationship wisdom that I just had to share this with all of you. One of the things that has bothered me for years is the lack of a role model for what makes a healthy relationship. Couples in books, TV shows, and movies all seem to be struggling with their relationships. It makes for good drama, of course. And everyone can relate to the humor, angst, and pain that results. But what does a healthy relationship look like? A healthy, happy couple is rarely depicted. So rare that I don’t have a model in my head of how it would work in reality. I think most of us can describe characteristics that are not part of a healthy relationship. It’s easy to see that it would not involve a power struggle or arguing. And, many of us can quickly and easily point out couples who are not healthy. But what does a healthy couple do? How does it work? It seems that most of us can describe what a perfect relationship would feel like, but I haven’t found anyone who can explain exactly how to achieve it. Al Turtle is an Imago trained couples counselor. He started using the ideas of Imago theory in his practice and in his own marriage years ago. And he found problems. But unlike many counselors who just plod away using the theory without questioning it, Al started taking notes on the problems. And the notes became essays that he filed on his website. And, lucky for us, Al has a unique background and skill set that I would bet is uncommon for therapists. Before he became a counselor, he was trained as an electrical technician in the Navy during the Vietnam war. He likes to fix things. He knows how to analyze and fix problems in a very concrete and practical way. He is also very skilled at drawing charts and maps. So, he was able to bring all of these skills together and create this Map of Relationships. And now, for the next 6 weeks, he is doing an interview series (podcast) with Laura Lavigne, blog talk show host, to talk about his Relationship Wisdom. The first episode was yesterday. So, if you have any interest in learning how to achieve “Vintage Love” or even how to improve your parenting skills (yes, really! ), listen in— I highly recommend it! It Was a Hot Pink Dress, Okay?